Fake medicinal products – a global problem: Medications with high sales levels and those that command a high price are particularly vulnerable to forgery. Experts estimate that more than one in ten preparations worldwide are forged; for medications available online the level is believed to be over 50 percent. A buyer wishing to keep their online purchases anonymous can even expect up to 95 percent of all the products to be fakes, according to research studies based on all products available online. The consequences of taking fake medicines can range from the absence of any therapeutic effect to fatalities. In the fight against the forgery of preparations as well imitations or tampering of packaging, the European Union has defined a catalog of measures in directive 2011/62/EU – typically known as the Falsified Medicines Directive (FMD) – which is intended to prevent fakes entering the legal supply chain of medicines. In the fall of 2015, the EU Commission published a number of fundamental technical details concerning the design of safety features. This delegated act was published in February 2016 in the Official Journal of the European Union and is therefore legally binding. All members of the pharmaceutical logistics process chain – pharmaceutical and commissioned contract manufacturers, contract packagers, wholesalers, and pharmacies – are obliged to implement the EU directive within the next three years. In concrete terms, this means two things: every item of pharmaceutical packaging must have an individual serialized code that makes it globally unique; at the same time, every item of packaging must be protected against undetected, premature opening or tampering with the help of appropriate tamper evidence systems. This is specified in further detail in standard EN 16679:2015-03 “Packaging – Tamper verification features for medicinal product packaging”, which supports the application of directive 2011/62/EU. A range of sealing options are suitable for preventing packs from being opened and re-closed without leaving evidence, thereby guaranteeing maximum protection against tampering. These include fiber-tear labels, which are irreversibly damaged on opening, or foil “VOID” stickers that reveal previously invisible text or patterns once they are detached. 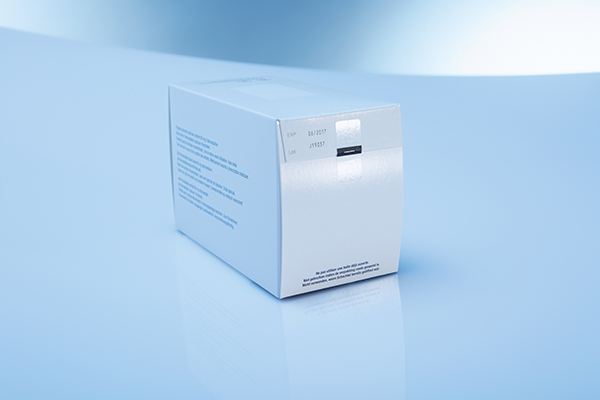 As a tamper evidence safety feature, transparent, self-adhesive sealing labels with perforations across the opening flaps of folding cartons have the advantage that they neither affect the pack design nor cover up required wording or markings. With directive 2011/62/EU and standard 16679:2015-03, the starting pistol has been fired for the race against product piracy and forgery of medications – nevertheless, not many have heard it yet. Industry insiders report that even global manufacturers are far from hitting the home straight in all aspects of serialization and tamper evidence – not to mention small and medium-sized market participants, some of whom are still in the starting blocks. This can partly be explained by the large number of directives, the complexity of the requirements they contain, and the lack of contact people who can troubleshoot integrated complete safety systems, as well as provide the knowledge required for their practical implementation. In order to serialize individual items of packaging, they are labeled individually with a Data Matrix code. 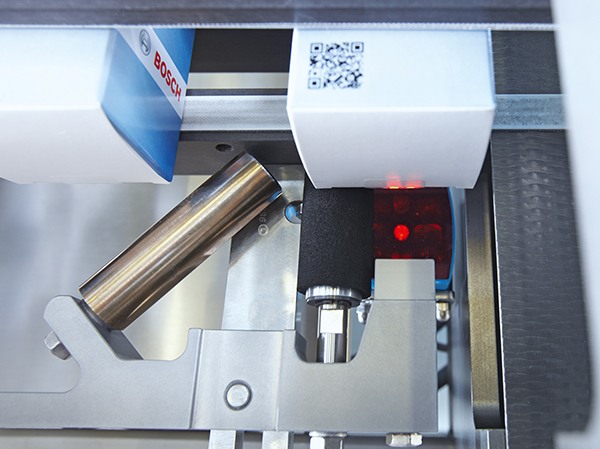 Before the packaging is filled, for example with tablets that use blister packs as their primary packaging, the coding is captured during the packaging flow with the aid of image-based code readers from the LECTOR®630 product family – to check its legibility by a machine on the one hand, and to verify the coded contents on the other. To identify additional bar codes, suitable CLV laser scanners are also available if necessary. Folding cartons are usually manufactured from pre-cut and pre-punched blank formats. If these are labeled with fluorescent marks, the authenticity of the packaging can also be checked using luminescence sensors, such as the LUT9. This can take the form of either a random check before the blank enters the input magazine of the packaging machine, or a continuous and 100 percent check where the sensor scans each blank individually as it is removed from the magazine. The printed pattern, color, and condition of the carrier material do not influence the safety and availability of the packaging authentication. Following serialization in line with the Falsified Medicines Directive 2011/62/EU, each item of secondary packaging must be sealed once it has been filled in a way that is so tamper-proof that if it is opened or tampered with, it is detected at the latest by the dispensing pharmacist, and the medication can be removed from the supply chain without causing damage. Using the GLARE sensor, the presence of these safety labels, as well as possible errors in dispensing or attaching them, can be identified immediately. Photo courtesy of Bosch. Numerous manufacturers satisfy the requirement for a tamper evidence safety feature with self-adhesive sealing labels with perforations. These are applied to the opening flaps of folding cartons by machine at high process speeds. Using the GLARE sensor, the presence of these safety labels, as well as possible errors in dispensing or attaching them, can be identified immediately. The sensor distinguishes with maximum reliability between clear reflection from the plastic surface of the label and the diffuse reflections from the rougher surface of the packaging material. Once correctly filled and sealed, medication with secondary packaging is then sent on to the tertiary packaging stage. For this aggregation, the packaging must be completely filled and each box identified and assigned to secondary packaging so that it can be traced later on if necessary. The LECTOR®650 image-based code reader can detect both complete filling “at one glance” as well as identify the Data Matrix codes of all boxes simultaneously. EU Falsified Medicines Directive 2011/62/EU, delegated acts, EN 16679:2015-03 to support implementation – in the fight against the forgery of medicine and tampering of packaging, the details concerning the design of the safety features and relevant devices with which these can be checked are clearly defined. 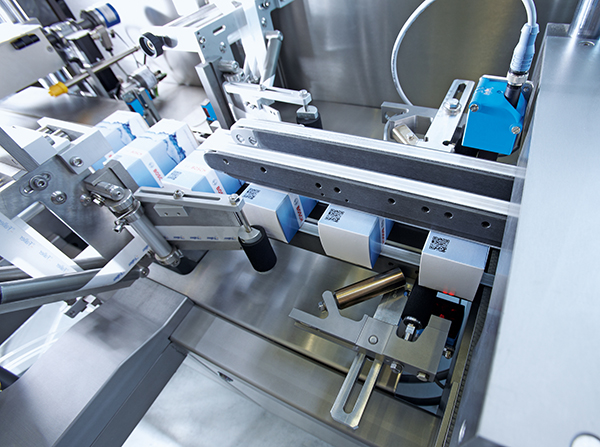 SICK’s sensor and safety systems ensure solution concepts that are highly future-oriented and represent a secure investment for all parties involved in the pharmaceutical and packaging-logistics process chain. Within the next three years, every item of pharmaceutical packaging must have an individual serialized code that makes it globally unique; at the same time, every item of packaging must be protected against undetected, premature opening or tampering with the help of appropriate tamper evidence systems.